VAT, Tax and Customs related legal support is high in demand in Bangladesh. Particularly for companies, new investors & entrepreneurs knowing the different formalities involving taxation is a big challenge because of its complexity. In particular with income tax, different statutory requirements for e.g. 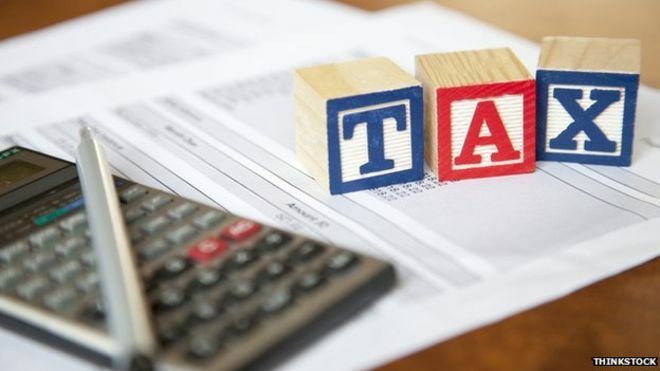 advance tax on income, deduction of tax at source, tax exemptions, tax rebate, procedures for filing annual tax returns along with its assessments etc and their correlation which may be found difficult without proper knowledge. On the other hand, entirely new regulations are applicable to VAT. Understanding advance ATV (advance trade VAT), VAT rebate/input at different stages of trade, obligations of consumers, supplier, service provider and different MUSAK filing along with the filing of monthly returns is equally complex. Finally, rules and regulations applicable for various Custom duties, supplementary duties, regulatory duties and its relations with HS code and product valuation is a complex area of law which requires sound knowledge to deal with the issue efficiently. In case of any disputes, legal support is often required for challenging any claim, issues, Order before the Higher Authority or Tribunal which may even go up to the High Court & Appellate Division. The Chambers has 8 years’ experience for such services. 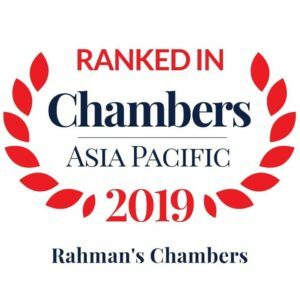 Rahman’s Chambers has been ranked for Corporate & Finance. 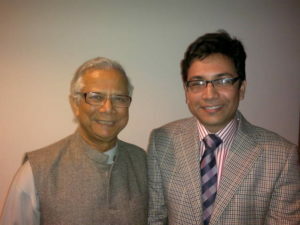 Mr. Rahman with Nobel Laureate Prof. Muhammad Yunus, Chairman of Grameen Danone Foods Ltd at its office. Chambers have long-standing practice of nearly 7 years assisting clients in taxation matters. Chambers have a long-standing practice of nearly 8 years assisting clients in taxation matters. Mr. Rahman began his journey by advising Grameen Danone Foods Ltd in 2008. Since then the firm not only advised clients on specific tax issues but also conducted due diligence report before setting up business and also regularly advises clients on a day to day issues. The Chambers Financial Department mostly composed of lawyers form ADR, Consultancy and Foreign Investment and Business Setup team, who are experienced in dealing with all types of taxation matters and customs issues. The Chambers ADR, Land & Tribunals team also regularly appears before several forums on taxation matters. In 2018 we have successfully resolved an Income Tax related dispute for Grameen Danone Foods Ltd. involving estimation of sell and rate of gross profit by filing a writ petition. The case namely Grameen Danone Foods Ltd. vs. Commissioner of Taxes, was Reported in 6 CLR (HCD) (2018) 25. Which is a leading case for this matter. In 2018 we have successfully resolved a Customs Matter for G.A.B Limited (Gildan) Bangladesh involving pending assessment and release of the imported goods by filing a writ petition. We have successfully resolved VAT claim for Crown Melamine Industries Ltd by filing writ petition involving illegal VAT demand arising from uses of raw materials. As legal adviser, we represented Philips Lighting Bangladesh Limited before different customs appellate authorities i.e. the Commissioner (Appeal), Customs, Excise and VAT Appeal Commissionerate, Chattogram and Dhaka-1, Customs, Excise and VAT Appellate Tribunal, Dhaka in a number of Customs Appeals involving Valuation and HS Code related disputes of imported goods. We have successfully completed a VAT appeal for Grameen Danone Foods Ltd. before the Commissioner (Appeal) involving price declaration issues i.e. MUSAK 1. We have successfully challenged and resolved VAT claim through ADR at the Appellate tribunal stage involving the destruction of raw materials for Grameen Danone Foods Ltd. In 2018 we have successfully advised OOCL Bangladesh on customs regulation and power of Bangladesh Customs Authority. In 2018 we have advised and provided Legal Opinion to a multinational company regarding the applicability of Bangladeshi laws involving Customs and VAT, Tax on the donation of bi-products. In 2018 we have successfully advised a major South Korean Construction company and provided due diligence report on applicable customs duty, supplementary duty, advance trade VAT, advance income tax on several types of equipment’s, i.e. bulldozers, generators, pile drivers and extractors etc. We have conducted due diligence over VAT, Tax, Customs duties for Sojitz Machinery Corporation, a sogo shosha (General Trading Companies) based in Tokyo, Japan regarding the import of Gantry Crane for Chittagong Port authority. We have successfully advised NEPC 3 on customs matter involving conversation of temporary import into permanent imports. We have also successfully assisted several corporate and individual clients in Tax & VAT Assessment and Filling of return. Customs disputes are common in relation to pre-shipment inspection, Valuation, HS code, the imposition of several duties and rates, release and confiscation of cargo, customs exemption and withdrawal etc. Disputes may be resolved at any stage if the authority is satisfied and ready to go into legal and factual details. The most common corporate taxation disputes relate to allowance or disallowance of expenditure, the acceptability of debit vouchers and evidence, AIT and related expenses, imposition of estimated profit, rejection of trading accounts etc. VAT disputes are common in relation to uses, wastage and destruction of raw materials, price declaration, revision of price declaration etc. We have successfully revolved disputes for Grameen Danone in a number of VAT matters at different levels of appeal and ADR process. Application required to be filed before Commissioner against demand and assessment Based on the VAT Act related Divisions of High court and Appellate Division. Raising all issues before Commissioner is important for placing a successful argument in later forums. If the Commissioner refuses to accept our legal and factual position, we prefer appeal to the Commission Appeal. Unless their is any jurisdictional issue involved and/or the law itself is challenged, exhausting forum as per requirement of law is important. Appellate Tribunals comprises with Chairman and members who are ranked equivalent to High Court Division. An appeal can be filed from the decision of the Commissioner Appeal to Tribunal. We assist our client for the entire process. The High court writ jurisdiction can be entertained against the decision of Appellate Tribunal as a last resort on procedural grounds. our success rate before High court on VAT matters is very high. Generally interference by High court is found fruitful as Hon’ble High Court is prepared to go into details and takes lengthy submissions from both parties. On the otherhand, the High court Tax Reference jurisdiction is unlike VAT and Customs is a permanent jurisdiction whereas per Tax Ordinance reference case can be filed. High Court can be entertain if a legal issue is involved against the decision of Appellate Tribunals. Our success rate before High court on Income tax matters is very high. Similarly over customs issues High court by way of writ exercises it’s power where tribunals acted beyond its limit and where statute have not provided any remedy. The recent amendment in VAT, Tax and Customs Act allowed the parties to take the matter before Facilitators. The facilitators are generally professional retired Govt. Officials, lawyers, chartered Accountants who are expert in the respective matters. Who plays the role akin to mediators analyzing factual and legal position of parties and help the parties to resolve the dispute amicably. The Chamber has very high rate of success before ADRs.